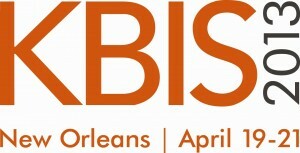 Jud and Denise Pins checked in at Kitchen & Bath Industry Show 2013 (KBIS for short) in New Orleans. Over the next couple of days they will be visiting with many tile and counter top exhibitors at KBIS to see what’s new and exciting in the industry. Make sure you visit the Stone Center this spring to see what new products we brought back with us!